Creative Triangle are delighted to have been ranked no 75 in Design Week’s Top 100 Consultancy Survey 2016. 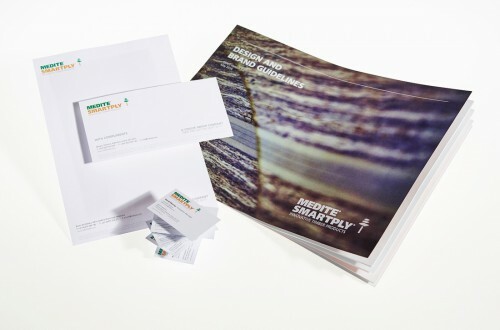 When Coillte Panel Products decided to reposition their organisation and change their name to MEDITE SMARTPLY, a collaboration of their market leading product names, we were delighted to be asked to produce their new identity , guidelines and subsequent marketing communications. Having worked with MEDITE SMARTPLY for four years, our designers were confident they could produce a fresh and innovative brand that would position the company and its products correctly as an innovator in the timber industry. The end result is a contemporary and bold brand identity that repositions the organisation as manufacturers of world class MDF and OSB boards. We’ve completed a set of brand guidelines for the full suite of MEDITE and SMARTPLY’s innovative timber products that include new logotypes and their usage, stationery, typography and colour palettes. We are now working on product sample folders before moving onto new datasheets.